I don't do as many Christmas traditions as I thought I would when I imagined being a mom, and I often can't find the energy just to do even a couple of activities, but this year we are exploring our new city by doing all the fun things it has to offer! I feel guilty sometimes (surprise, surprise - guilt has a strong presence in my life) that I don't do a lot of the fun little things that I see other moms doing, but I'm learning to let it go and recognize that I am doing my best. I feel like I'm somewhat succeeding at teaching my children the most important thing to me about Christmas, which is Jesus Christ being the greatest gift of all. Our stake puts on an amazing Festival of Nativites, so we went to that last week. When I heard about it, I was expecting a few nativities to be set up around the gym but no - it was fantastic! 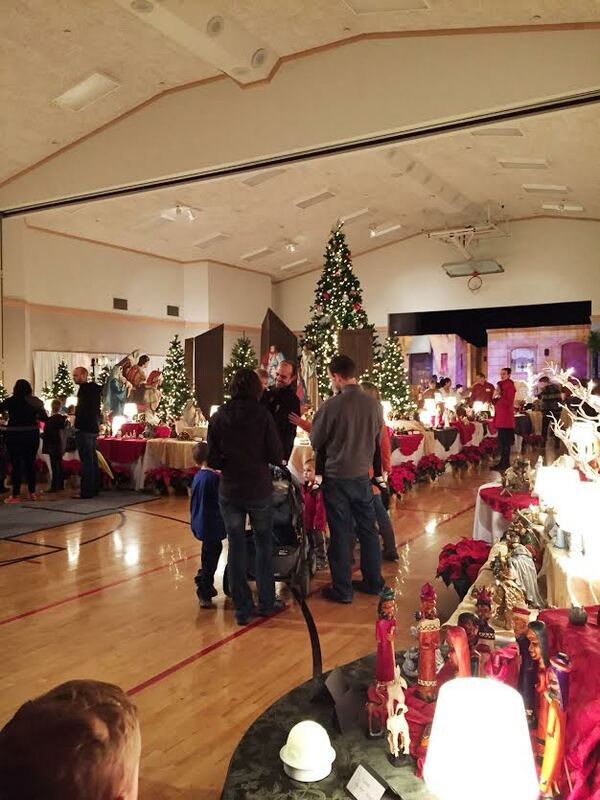 Every room of the building was filled with nativites, trees, lights, activities and people. It was wonderful. They also had Total Experience Gospel Choir there performing and it was so great! It was the highlight of the evening, even when William loudly proclaimed, "This is boooorrring." Not enough action for him I guess. Ha! Another night I told William we would roast some marshmallows but suddenly it was 7 p.m. and I realized I didn't have anything to make the s'mores he was requesting... but, wait! 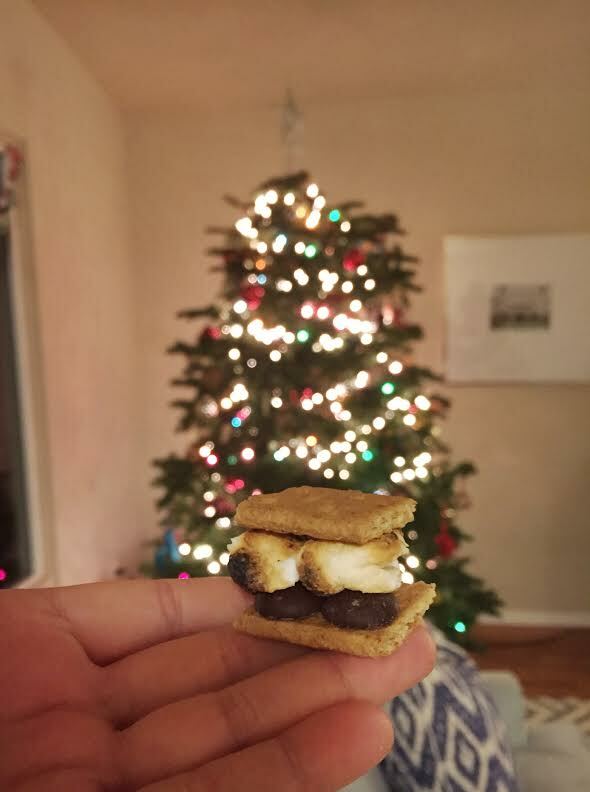 I have some mini marshmallows leftover from Thanksgiving and I have graham crackers and I always have a stash of chocolate chips on hand so we made mini s'mores! Aren't they cute? 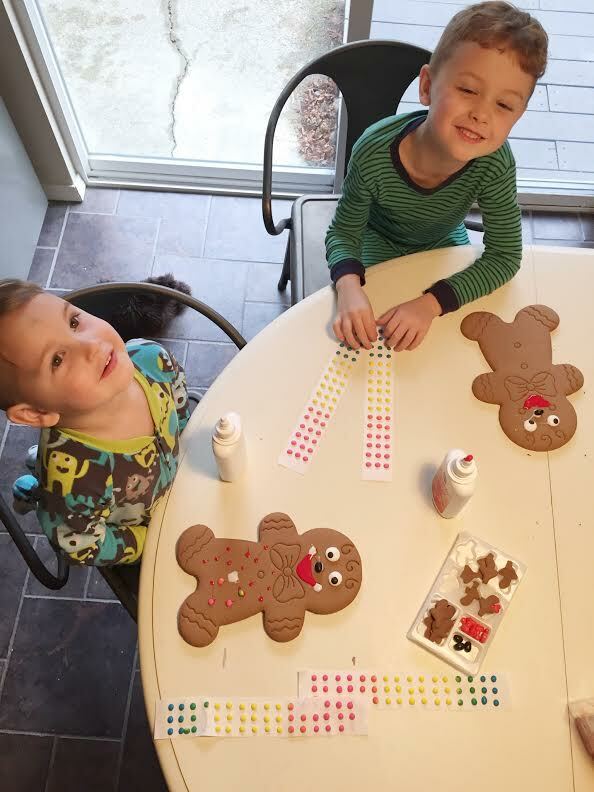 David's mom also sent a Christmas box and in it, were these giant gingerbread men that the boys were very excited to decorate. Most of the candy ended up in their tummies however, but they thought it was very fun. 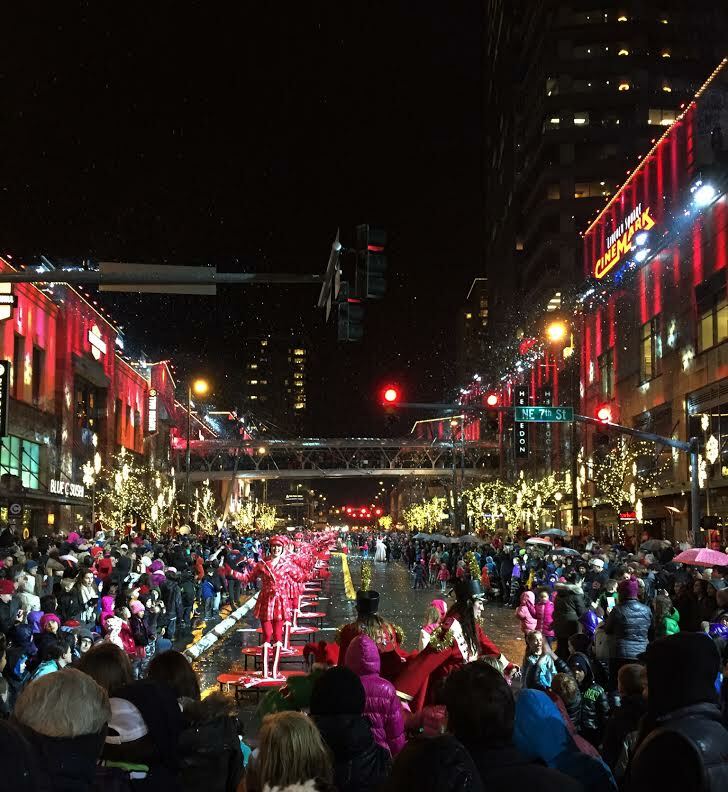 Bellevue was voted the "most festive city in America" and for good reason. 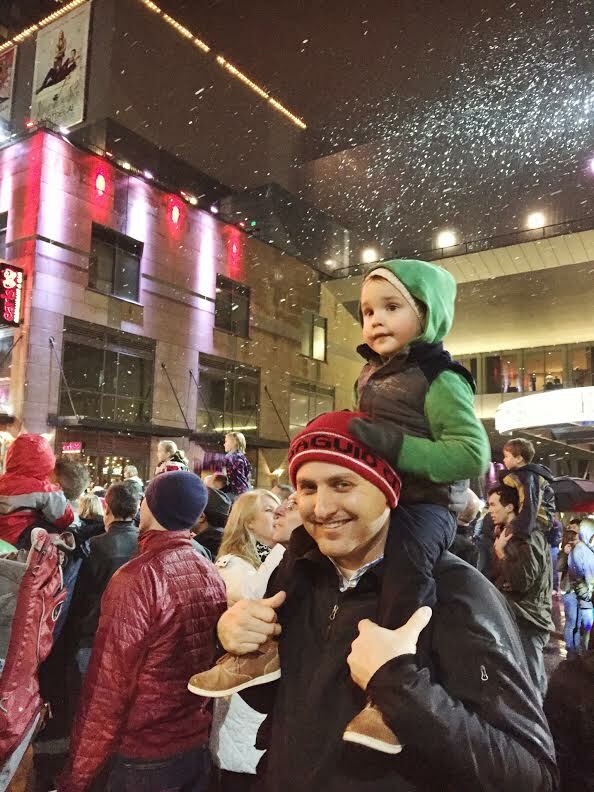 Their Snowflake Lane is so fun and is every night from the day after Thanksgiving to Christmas Eve. Toy soldier drummers roam the streets on stilts and pass out suckers, jingle bells dancers danced in perfect sync to festive music on the street and they even make it snow while snowflakes danced on the side of the buildings. The lavish costumes and bright lights with traditional holiday music really made me excited for Christmas. It was perfect weather too. It was warm and we just put on a couple of light layers and then met my brother and his family at Chipotle for a quick dinner. 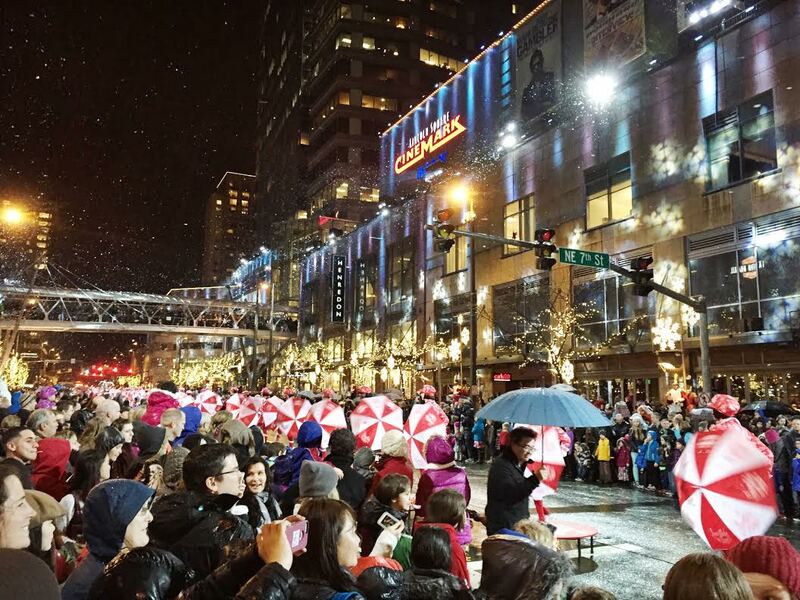 Then we walked over to Bellevue Square to get a spot before it started and literally, as we sat down, it started to rain... and then pour... and then we decided to leave because we were soaking wet and it was pretty much over anyway. I had to laugh though because - hey, we live in Seattle! It rains here! 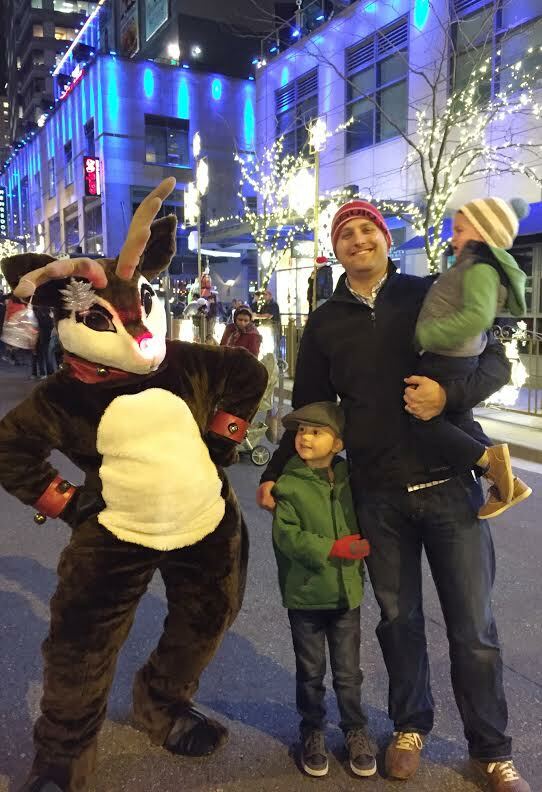 Fritz did NOT like Rudolph. I think one of the reasons we feel guilty about fitting in activities around Christmas is that there are always SO many options, so we have to say no (to things our kids usually have no knowledge of, so they don't know what they are missing). Another contributor to the guilt is our own magical memories of our childhood Christmas (probably an amalgam of at least 15 Christmas seasons packed into one). I have made a tremendous effort to slow down and do less this year. In my faith (Catholic) we celebrate advent, so in reality the four weeks before Christmas are supposed to be a time of reflection and preparation rather than celebration. It is difficult to do when everyone else seems to be ready to party, but by trying to spend more time in waiting, we've slowed everything down and I feel like I have more time to appreciate the season and my kids seem completely happy. 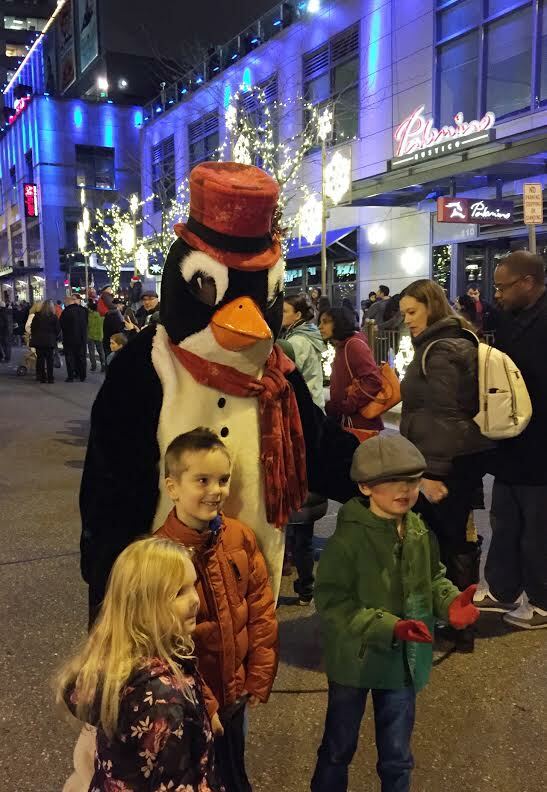 It looks like you've had some beautiful family experiences this year! The mini s'mores are adorable and I wish I could have seen the Nativity display! You amaze me! Honestly, you are the best mom and I am always impressed at all the fun things you do as a family. But most importantly, you are an awesome mom who is teaching her children the very most important things! Love your blog! Oh, and preparing such wonderful healthy food, seriously would love to have dinner in your home! Thank you so much for your supportive comments, Noni. You don't know how much they mean to me! XOXO Merry Christmas!